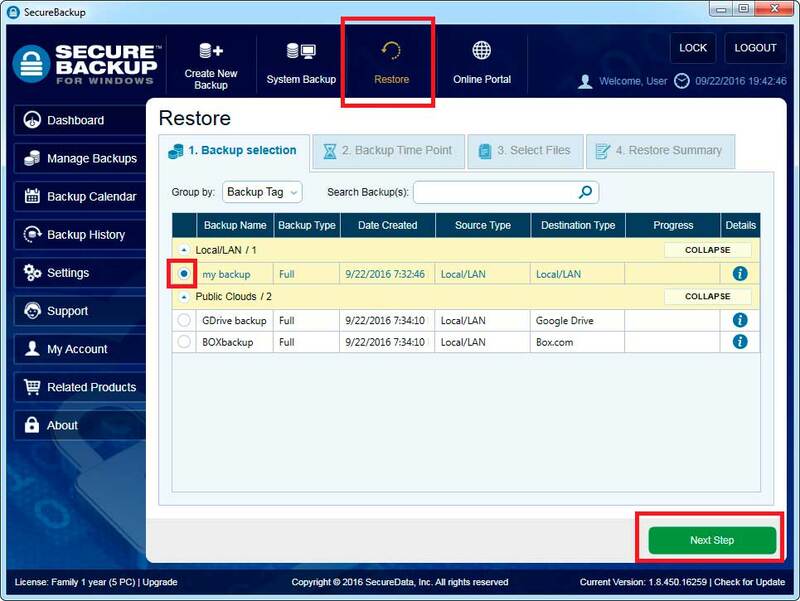 When something goes wrong, and you lost your data – you can easily restore it! 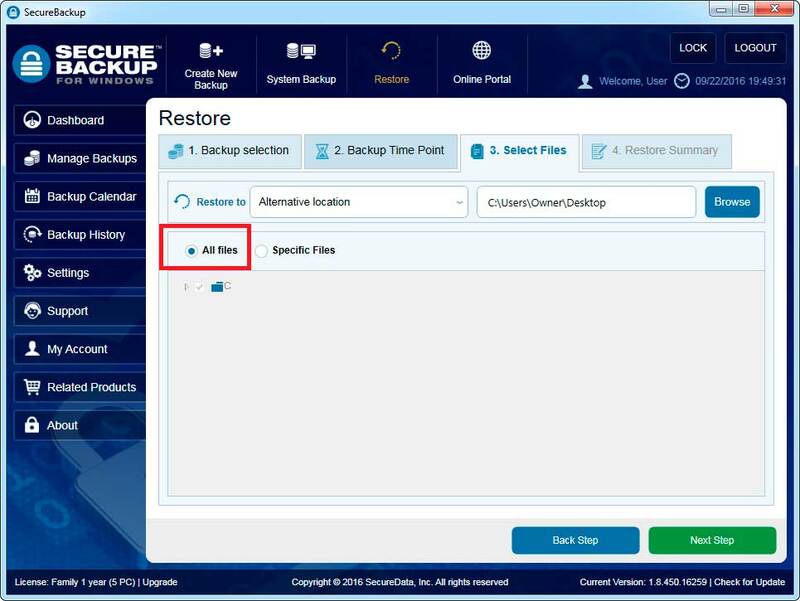 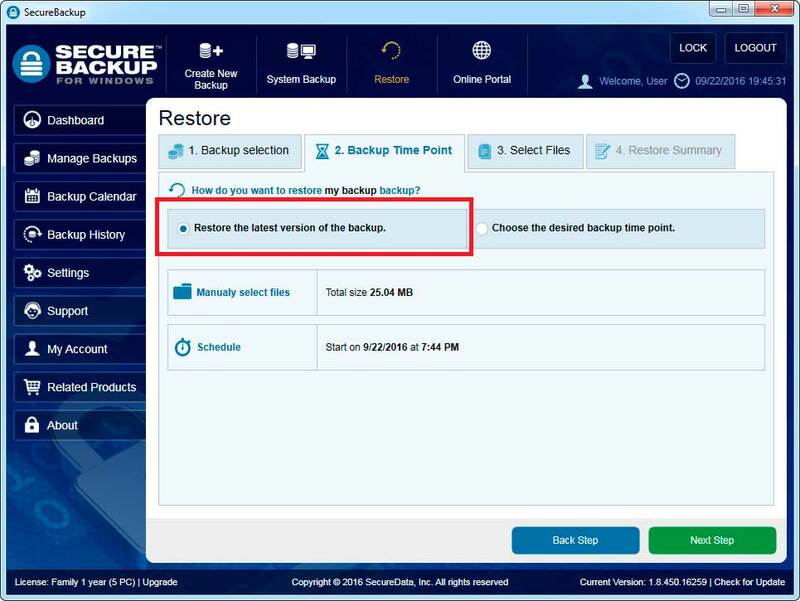 Click on "Restore" on upper toolbar or click on restore icon from "Manage Backups". 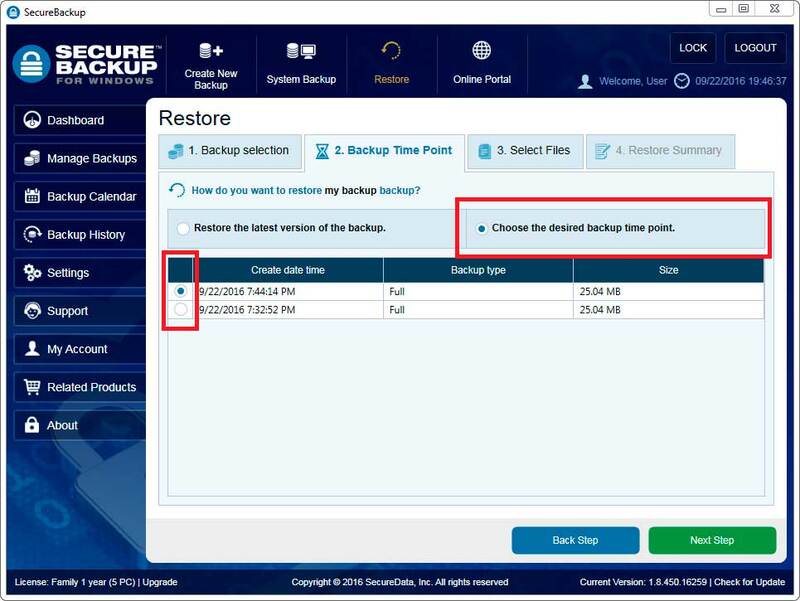 You can select the last backed up version or one of the previous versions. 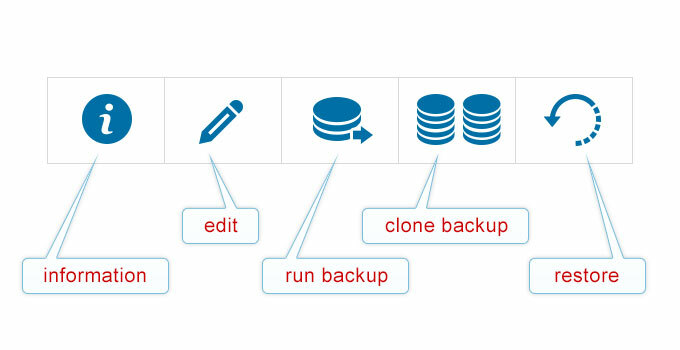 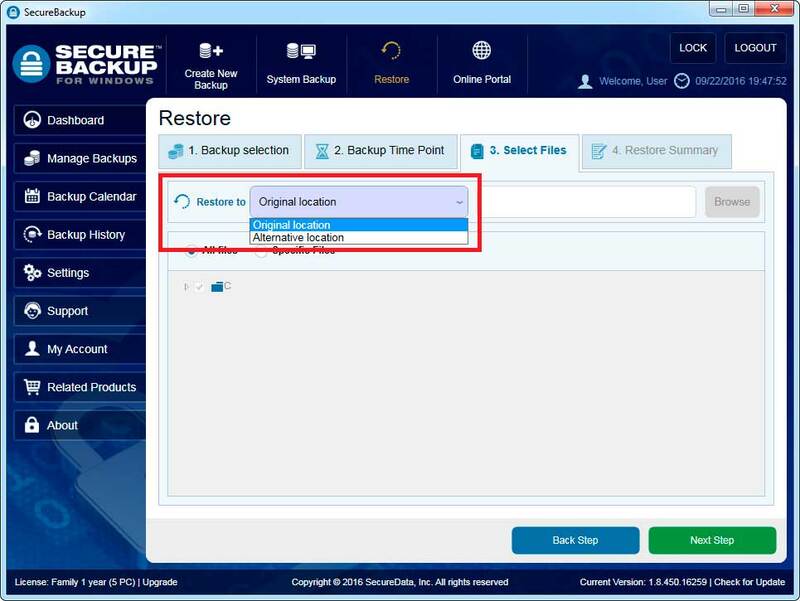 Recovered data can be restored to the original location or to the alternative location, chosen by you. 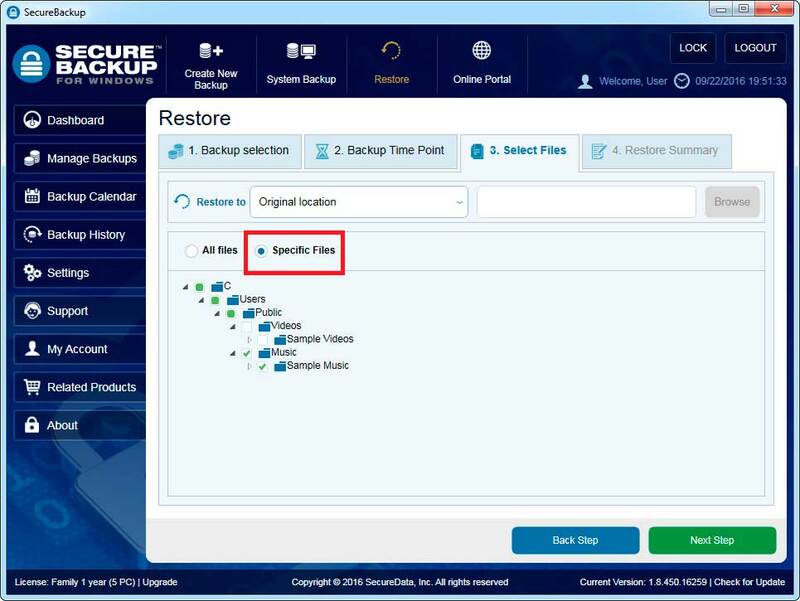 Text description of the full setup for each restore job that allows you to easily review the information regarding the restore.